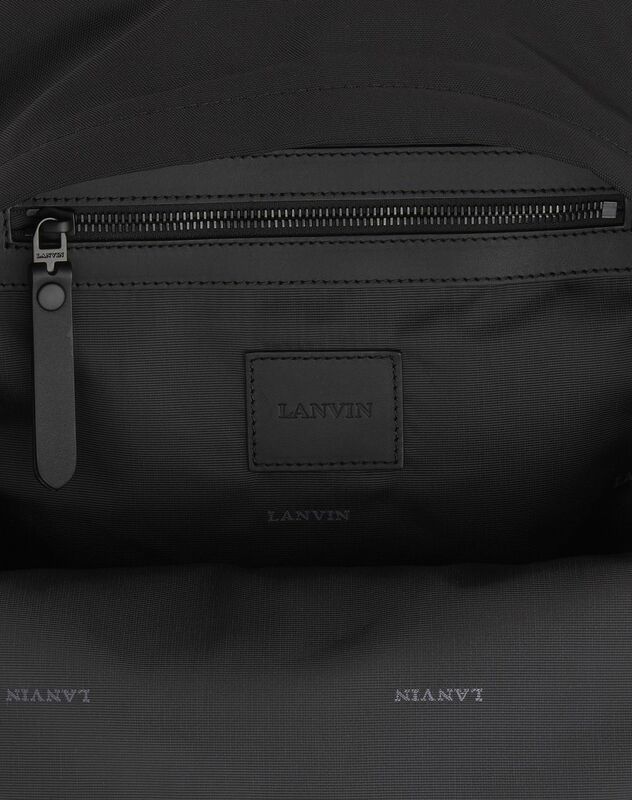 Black zipper backpack in technical fabric, exclusive patch details, front zipper pocket, black calfskin leather insets, exclusive zipper pull with Lanvin logo, inside zipper pocket, and exclusive Lanvin lining with printed logo. 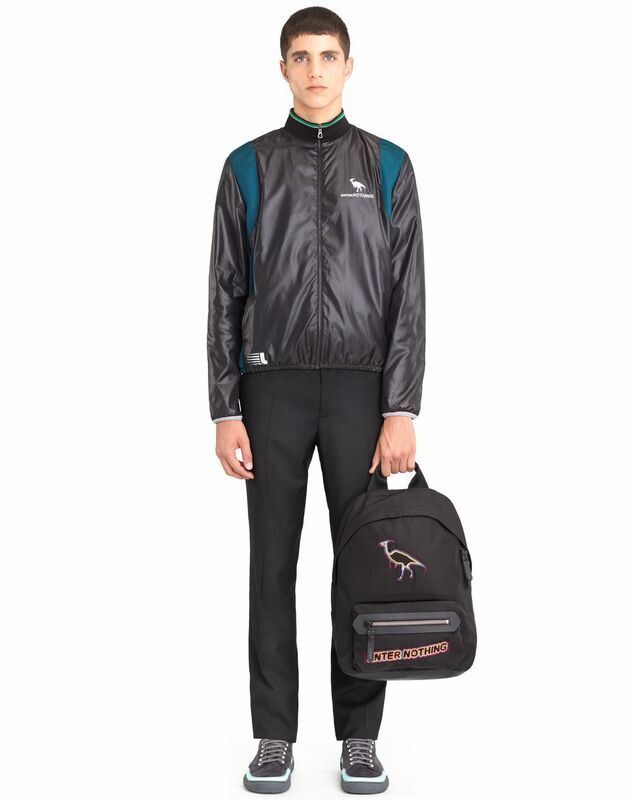 In technical fabric and calfskin leather, this zipper backpack combines the symbols of the season with luxury details and finishes. The zipper compartments and spacious interior hold your everyday essentials. 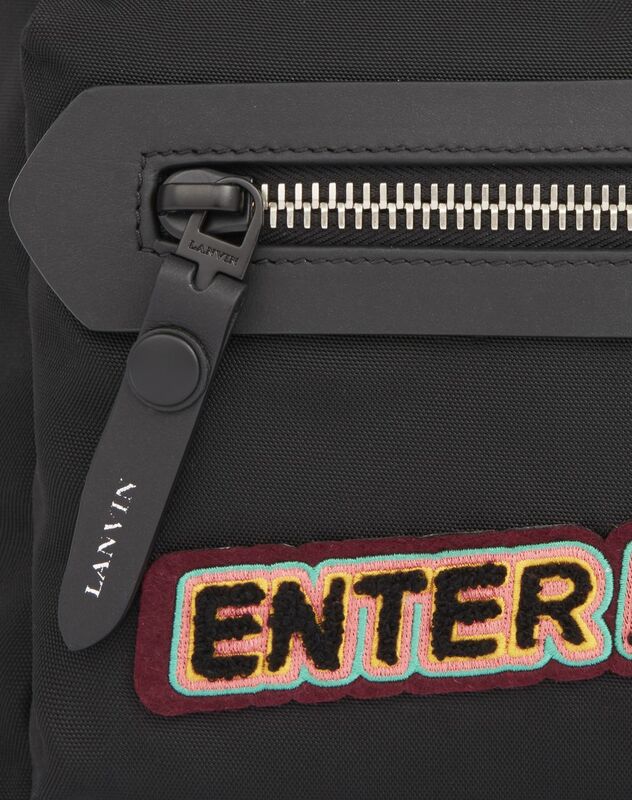 The exclusive patches and the “Enter Nothing” message leave a mark of the Spring 2018 season on this piece. Main material: 71% nylon, 29% polyester. 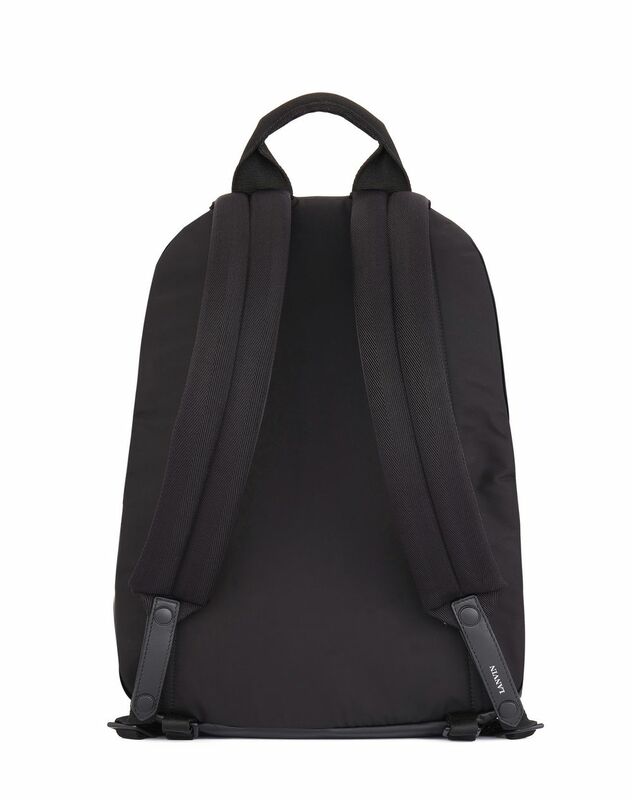 Other materials: 100% calfskin leather, 100% polyester. Lining: 100% polyester. Depth: 4.9" Width: 13.2" Height: 16.5" Made in Italy.